Want to combine your two favorite sports: paddle boarding and fishing? 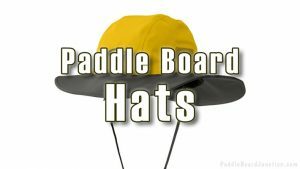 Fishing on a paddle board has become increasingly popular, but if you want to do it, you need the right equipment. 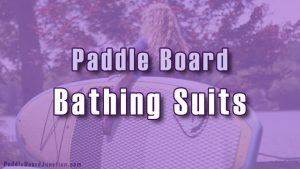 Fishing on a paddle board requires more than just leisurely riding does, so you need a place to store some of your stuff. A rod holder is the perfect accessory, a place to keep your rod, bait, and catch stored away safely. 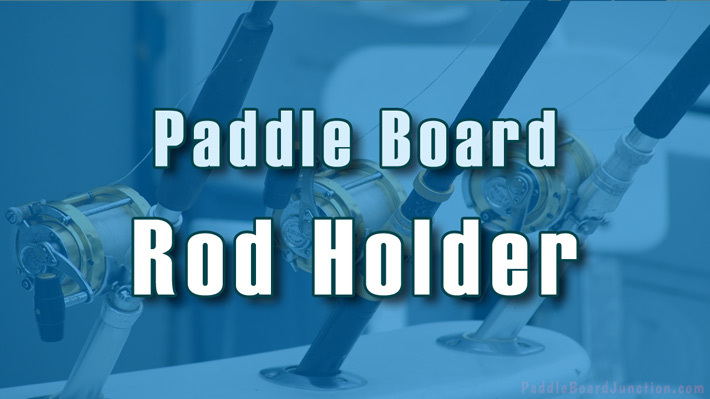 From just a simple single-rod holder to more complicated crate-systems, these are the paddle board rod holders you want to check out if you are thinking about getting SUP fishing! This USA made rod holder is built perfectly for your SUP. With it’s suction cup design you don’t need any existing hardware or attachment systems.You’re able to change it to three different locking positions, and, if you have to, it can easily be adjusted with the thumbscrew. Its vacuum cup design keeps it stable on your SUP, ensuring that all of your stuff will be safe and sound for your trip. 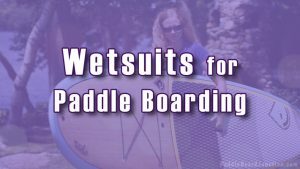 It even features a paddle saddle that’ll keep your paddle at that ideal height that you want. 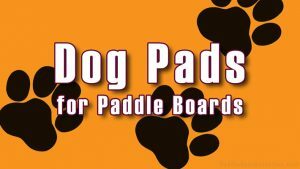 And if you find yourself approaching harsh waters, it’ll keep your paddle locked in place no matter the condition. The Versarod weighs about four pounds and requires a 5 inch surface to securely attach it to your SUP. 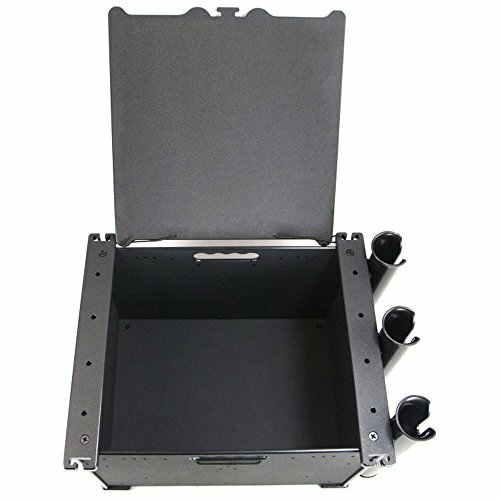 This rod holding crate is the perfect container for any rider who wants a lot of space for an affordable price. There are two leashes attached to the crate for your poles and paddles, and if you want to store your rods, there’s space to easily install two rod holders. And if you need a place to store anything else, like your bait (and hopefully your catches), the crate is large enough to fit what you have to. So even if you don’t want to add on the two holders, you can place them right inside the crate! The Vibe 16 Quart Milk Crate measures at 13 inches x 13 inches. If you’re looking for a high-quality crate that’ll fit everything you want to take on your SUP fishing trip, this is the one. The YakAttack Blackpak offers riders all the space they would ever need and then more. It contains 3 rod holders, providing a versatile fishing experience for every user. Built from high quality polyethylene, it’s guaranteed to be safe from the harsh rays of the sun. 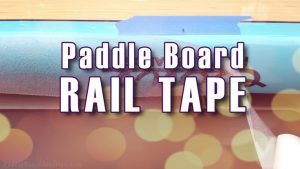 It really is a premium paddle board multi-rod holder! With its accessible carry handles, you can move it from place to place without any problems. And the built-in drain holes make it even easier to handle. The YakAttack Blackpak measures at 11 x 5 x 16 inches and weighs 11.25 pounds. It’s available in black or white. 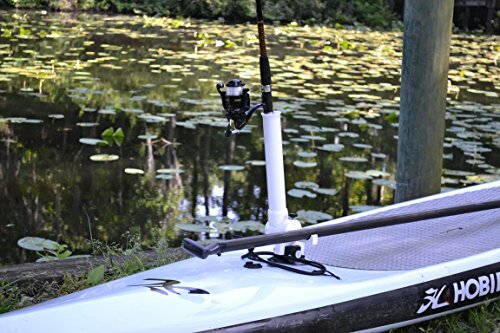 All three of these paddle board rod holders offer incredible security for your fishing poles. The VersaRod can be adjusted in anyway you choose to give you the best possible fishing experience. No matter where you go, no matter what the weather may be, this rod holder will stay fastened on your SUP. Want a place to store your catches, maybe some extra bait, anything you could really want? Both the Vibe 16 Quart Milk Crate and the YakAttack Blackpak will provide you all the space you may need for your paddle boarding trip. 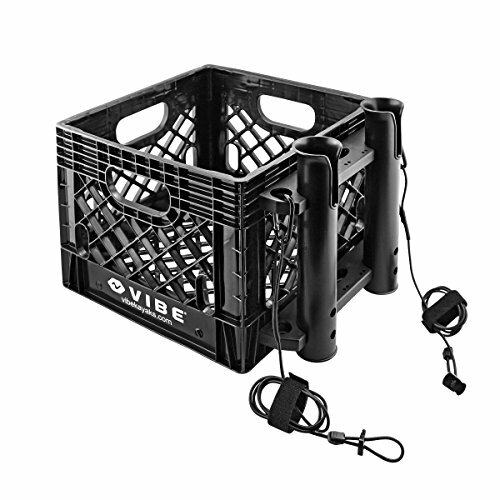 And if you’re looking for a rod holder that’s kind to your wallet, the Vibe 16 Quart Milk Crate supplies all the space you need at a cost you want.